We, Strangers, would like to say that we are very honored to be included in this collection of Tibetan transmissions from across the world. We’re leaving it up to the people at Lhakar Diaries that they know what they’re doing in including us into this batch of contributing individuals. So let me start off by saying that we are two young men making music that we really enjoy, so we don’t wish to make this a manifesto to the public, but rather a post that can offer some insight into what we’re about. Stranger #1: We make Electro House Dance music, that’s really all you need to know. My background in music began with Hip-hop, in high school my friends and I started a little rap group and it was up to me to find beats for use. Back then I used to only write lyrics, all of high school I wrote pages upon pages a day. My first recording I put out to the public was on myspace titled “Meet You There.” The song was received well and in 2009 I made a short music video on youtube under the very same title. Producing music took place simultaneously around the same time in high school, during my sophomore year when I was making hip-hop beats. Since then I continued to experiment with music. In college when I was studying animation, video, and sound, I began experimenting with sound art. Something that allowed to break all the rules the traditional forms of music follow allowing me to experiment with frequencies, tones, pitches, and breaking down sound to its simplest forms. This was all while I was a member of the Regional Capitol Area Tibetan Youth Congress. Everything I had learned about Tibet was being put to the test when the 2008 revolt began and the Olympic protests were all over the news. During my classes I worked on abstract and unconventional projects to express my views on what was happening. What I love about what we’re doing now is that I can combine sound art with hip-hop elements and explore new stuff that I’ve never tried before. Another joy is working with my brother on graphics, animations and filming videos, and most of all perform live where ever we can. This counter culture to what people call music and art is catching on rapidly and an exciting time for us to share ideas that we feel can offer some interesting results in the future. We hope to share these with our fellow Tibetans as well anyone else who will listen. Stranger #2: I’m the younger brother, so naturally I’m designated as Stranger “#2”. My background in music can be traced far back to when I was a child watching the 1940 animated film, Fantasia. More importantly, it was the moment when my pala bought me a 64-key keyboard on my 14th birthday that I decided to study music and seek the answer to a seemingly simple question that I always wondered about, “What makes music sound so attractive to us?” Fast forward through my awkward high school years, I learned to play the Clarinet/Bass Clarinet, the Flute, and the Tenor Saxophone, but at some point, I just decided to stop. I thought to myself, why should I try to learn as many instruments as I can, when I can master one instrument and have a whole orchestra at my fingertips? It was at this point when I devoted all my energy and passion to the piano. An old friend of mine once said, “the sheer range of the piano, from its lowest to its highest note, is testimony to the vast three-dimensional quality of its character”. The possibilities seemed endless to me whenever I would sit on my bench in front of my 88 ivory keys. After having taught myself to an advanced level of music theory (also known as the study of the “grammar” of music literature), I wrote a dozen nocturnes, several etudes, preludes, and quite a few orchestral works as well. Now in my college years, I wrote the orchestral score to a short animated film that made its trip across a few film festivals. During Kalachakra here in DC, I performed a piano arrangement that I wrote consisting of three traditional Tibetan songs in a hall where our Kalon Tripa Elect, Lobsang Sangay, and Ama Jetsun Pema la were present. That night was a tremendous personal honor for me that I’ll never forget. Outside of my love for classical music, I’ve always had love for dance music as well (this is where I try to tie it back to Strangers). I taught myself how to produce electronic music, but I was nothing more than an amateur for a long period. In search of my niche in the EDM (electronic dance music) world, I experimented with several genres as trance, trip-hop, drum and bass, instrumental jazz, but in the end it was house music that I enjoyed producing the most. My brother and I collaborated to create as many solid tracks as we could. We came up with a few powerful tracks, one of which (The Epitome) is gaining local support, but it was our latest release, Beneath The City, that got us signed onto a small digital label. In this song, I applied my knowledge of music theory to not only create the chordal progressions, but more importantly the quick sequencing of the synths to appropriately illustrate the busy setting and imagery of a bustling city. This is an incredible beginning for Strangers, and with the combined musical and artistic background of my brother, we hope to continue producing more hard-hitting electro house tracks and mixing live shows. Our hope is to one day see more Tibetans picking up on creating original music whether it be the production of EDM or the writing of a simple piano composition. We all love the sound of a dramnyen, but I still dream about the inception of the worlds first TPO (Tibetan Philharmonic Orchestra). That being said, I would like to add as a final closing note; I recently started to learn the Dramnyen and I’m loving it. 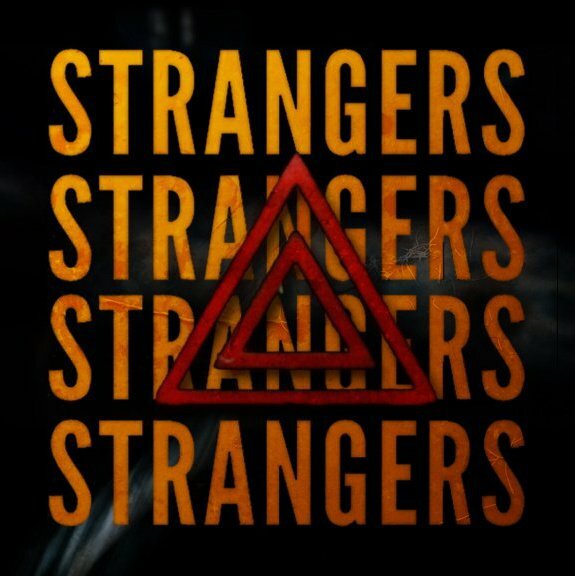 Check out Strangers on facebook! All my life I have loved the sound of the Piano and wanted to learn how to play it. The closest I got to was playing the keys of a toy piano and the best I learned was a few songs which could be easily played if you knew the notes. Watching you perform made me so happy and proud. Your fingers moved with such grace and beauty and the song touched my heart. This is the first time that i am hearing it performed on a Piano. I applaud you and wish you luck. wow – aside from the screaming kids in the back, i truly enjoyed listening to this piece! Keep it up!! !